I've built up the capacity tester documented by Bob N. in: http://www.aeroelectric.com/articles/battest.pdf and thought folks might want to see what it looks like in the flesh. I've attached a picture but let me know if it fails to show up. Since I only get the digest version of the postings, I won't get it (I never see any attachments). If anyone else who gets the digest want a copy, just email me direct with the request and I'll send the pic back in my reply. The two resistors, the zener and the transistor are all on the little piece of prototyping circuit board zip-tied to the top of the relay. For me it was easier to come up with a 3 ohm 100W power resistor than the 55W 12V lamp shown in Bob's schematic. 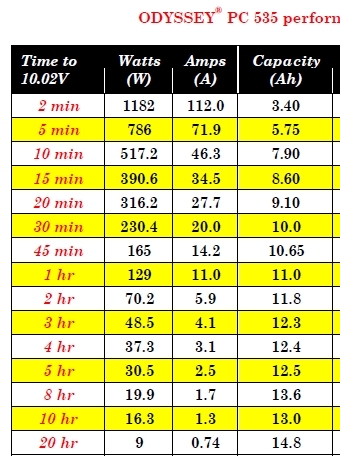 I tested the 17AHr AGM battery (Werker, from Batteries Plus) which I pulled out of my Longeze this last summer (after two years of service) and, at ~18 degreesF, it ran for 2hrs 35 minutes. I've yet to test the battery I replaced it with. This is no where near long enough to match my max duration (which is no surprise since my max duration at economy cruise at altitude is almost 12 hrs...) but it good enough to provide enough options. I've built up the capacity tester documented by Bob N. in:� http://www.aeroelectric.com/articles/battest.pdf and thought folks might want to see what it looks like in the flesh.� I've attached a picture but let me know if it fails to show up.� Since I only get the digest version of the postings, I won't get it (I never see any attachments).� If anyone else who gets the digest want a copy, just email me direct with the request and I'll send the pic back in my reply. The two resistors, the zener and the transistor are all on the little piece of prototyping circuit board zip-tied to the top of the relay.� For me it was easier to come up with a 3 ohm 100W power resistor than the 55W 12V lamp shown in Bob's schematic. 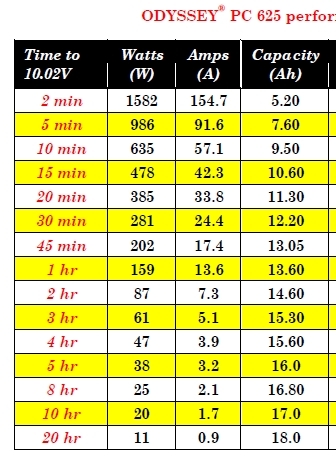 I tested the 17AHr AGM battery (Werker, from Batteries Plus) which I pulled out of my Longeze this last summer (after two years of service) and, at ~18 degreesF, it ran for 2hrs 35 minutes. delivers less snort than a new 15 a.h.
battery. 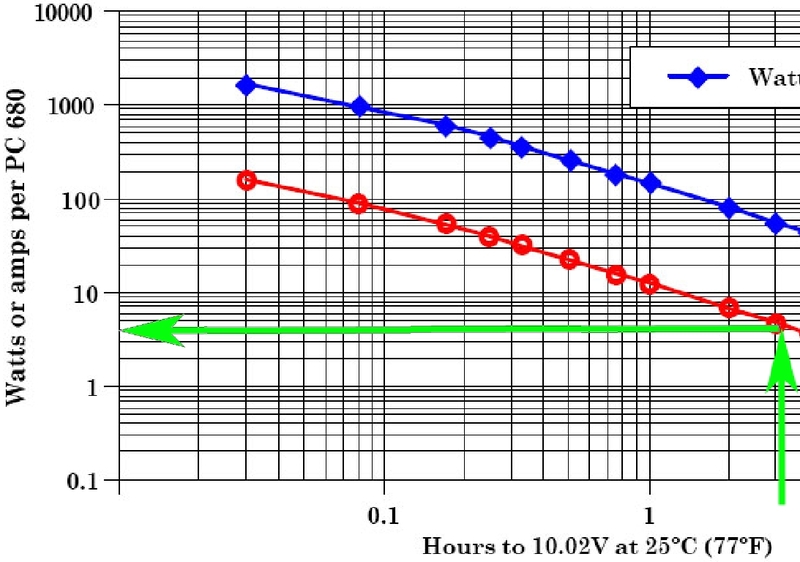 Comparing to a PC625 (18 a.h.
a delivery of 15.6 a.h.
� I've yet to test the battery I replaced it with. Would like to see that data . . .
� This is no where near long enough to match my max duration (which is no surprise since my max duration at economy cruise at altitude is almost 12 hrs...) but it good enough to provide enough options. Have you considered installing Z13/8? 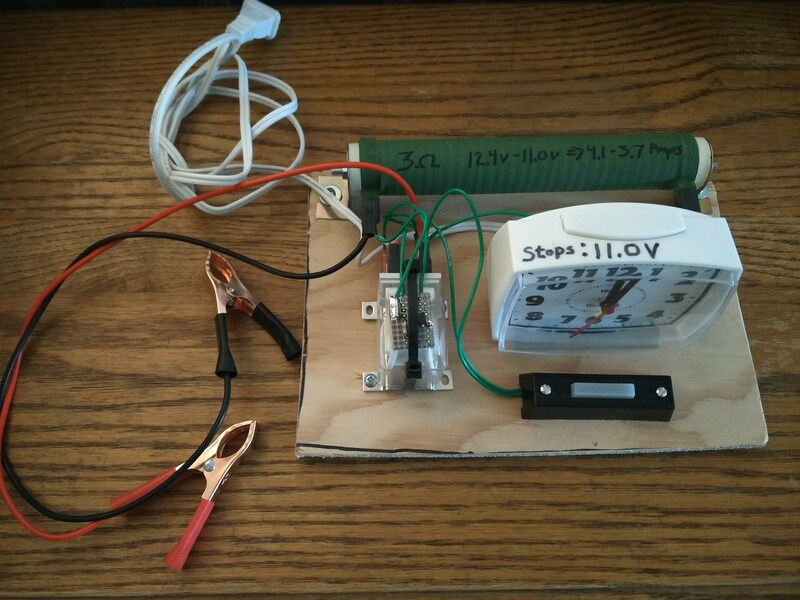 Bob said: You might want to put it on a precision charger/maintainer and retest at room temp . . . you may well see a lot of improvement. Well, in the longeze, my battery is in the nose and I fly at altitude where it is cold! So maybe this is a good test it realistic endurance. For battery life comparisons, a room temp standard sounds appropriate. Well, in the longeze, my battery is in the nose and I fly at altitude where it is cold! So maybe this is a good test it realistic endurance.� For battery life comparisons, a room temp standard sounds appropriate. I said: "I've yet to test the battery I replaced it with. "Bob N. said: "Would like to see that data . . ."
I don't recall for sure but my best guess is the "new" (bought Dec '16) battery is a Duracell Ultra 18Ah. (whatever Batteries Plus was had as their generic 18AH AGM). I didn't removed it from the Longeze when I tested it today. It was 48 degreesF at the start of the test (and a few degrees colder at the end) and with my 3 Ohm load it ran for 3hr and 14 minutes. I said: "I've yet to test the battery I replaced it with." Bob N. said: "Would like to see that data . . ."
18AH AGM). I didn't removed it from the Longeze when I tested it today. the end) and with my 3 Ohm load it ran for 3hr and 14 minutes. the load dump numbers are good too.